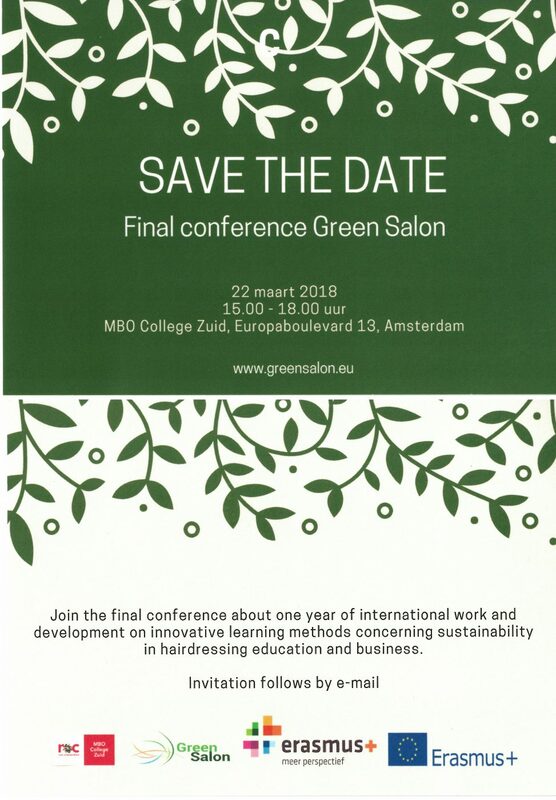 The final conference of the Green Salon-project is on the 22nd of March 2018, 15.00-19.00 hrs, MBO College Zuid, Europaboulevard 13 Amsterdam. Save the date in your agenda. More information is coming soon!